Want to start reading the whole book right now in ePub or PDF format? Captaincy, like coaching, varies significantly depending on the team and the level the team plays at. 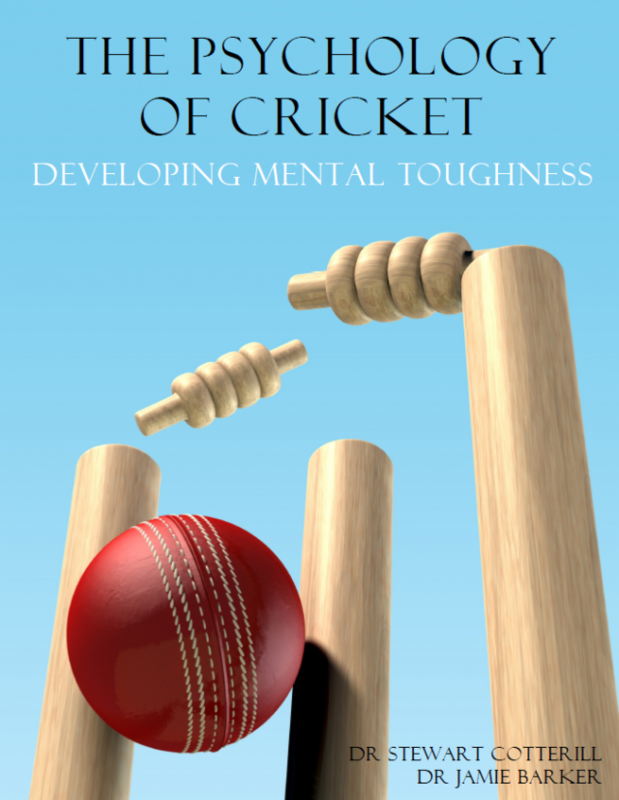 Cricket differs greatly from many other sports when you look at the role of the captain. In soccer the captain is a formal leader on the pitch and a role model off it, but the way the team plays and the major decisions taken during a game are determined by the head coach. In cricket, on the other hand, the team is very much the captain’s to lead. The captain makes all the decisions on the pitch and is part of the formal leadership of the team off the pitch. An effective captain is invaluable to the team and its performance outcomes. They will seek to lead by example, to motivate and to inspire the team to successful performances. In general terms, captains are selected based upon their experience, their level of performance and often the position that they occupy in the team (often batsmen). There are, in essence, three main responsibilities that captains have for the team. Mike Brearley in his very good book “The art of captaincy” highlighted the sacrifices that the captain often makes within the team. While the role often rewards them with influence and standing in relation to the task – there is often a social cost. Brearley specifically highlighted the difficulty of being ‘one of the boys’ and engaging in normal banter and gossip like the rest of the players in the team. As mentioned above, in cricket – a captain’s role is enhanced compared with other sports. Captains not only fulfil a leadership role, but also fulfil a management role making decisions on strategy and tactics, selection and planning, as well as determining who bats where in the order and who bowls when. The size of the role is further compounded by the sporadic use of vice-captains in cricket. This absence of a co-leader in many cricket teams makes it difficult for the captain to delegate responsibilities. In many clubs and teams the vice-captain is appointed as someone who can ‘stand-in’ for the captain if they are not available. The most effective teams, though, select vice-captains who complement the captain – helping them to lead the team. They are not necessarily selected because they are going to be the stand-in captain, but rather to offer a trusted opinion to the captain, to offer a different point of view, and to offer a different route through which communication can take place. Also, it is important for captains to recognise that they don’t need to do it all themselves. Very good captains will maximise the usefulness of the players that are in their team. So, the captain’s strengths might be in being very organised and by planning well, but not being the best at coming up with a new plan when everything else is not working. If there is someone else in the team who is good at being innovative in the field then the captain can use them for ideas. Often captains feel they need to do it all themselves, whereas they just need to remind the team of thoughts which relate to playing well. Think of it this way: the captain is steering the ship but does not have to be rowing the boat at the same time. Now, you might ask the question ‘How do I know what the rest of the team can contribute?’ Well, this comes down to the way that you lead. If you are always ‘leading from the front’ and making all the decisions you might never know what some teammates might be able to bring to the team. However, if you ask colleagues for their thoughts and ask questions such as ‘What would you do?’ or ‘What do you think?’ you can start to get a feel for how the rest of the team thinks and what they might be able to contribute. This approach also has the added benefit of empowering the rest of the team to think in more detail about the game and to feel a greater sense of ownership into the courses of action the team ultimately takes. Leaders can also seek to increase their influence or power within the team by paying attention to their appearance (looking professional), demonstrating self-confidence and expertise, appropriately allocating rewards and sanctions, and being a role model for the team to try to emulate. Regarding appearance the leaders should ‘model’ the accepted dress code (and this relates to how clean and professional they appear). Furthermore, the team are more likely to follow someone who has expertise and prior experience relating to the task in hand; a successful track record as a player is a great start to gaining the respect of the team. The leader needs to have confidence in their own ability and be confident in the tactical choices that they make. Portraying an air of confidence will make others feel confident. But by the same token, if you do not appear confident this will be transmitted to the team and they, in return, will feel less confident. The leader is also responsible for the allocation of rewards and punishments. The degree to which this can be done consistently and effectively has a direct impact upon the power that the leader has with the group. If you are not consistent or appear to be weak then you will not be well respected, and ultimately effective, as a leader. Being an example for others to try to emulate (a role model) is also important. Team members are far more likely to follow someone who leads from the front or who has the relevant experience – than someone who does not. Interacting with other people is crucial to the role of the captain in cricket. In particular verbal and non-verbal communication skills are central to this. How ‘together the team is’ has been highlighted as a key determinant of performance and team effectiveness. As such the leader should be looking to enhance this togetherness where possible. This is linked to effective interpersonal skills. Listening is crucial to building good relationships, and relationships are central to leader effectiveness. As a result, learning to understand people in greater detail is crucial. In order to be most effective, leaders need to have a plan. They need both the determination to do it their way and prove willing to accept responsibility for the ultimate success or failure of the plan. Active problem solving requires a pragmatic approach focusing on the direct issues that need resolving. Dealing with issues when they arise reduces stress in the long-term as issues do not drag on unresolved. Effective goal setting and quantifying successful performance is also important. Developing minimum standards of behaviour and performance is a key component of an effective team. Crucially linked to this is the need for the team to buy into these performance standards and to not necessarily see them as imposed. Reward and praise are important tools for the leader to use. The consistency and equality of these is also important. Consistent approaches giving clear messages and guidelines to the team are important. As a result the consistent meaning of rewards and praise is enhanced. A key role of the leader is to motivate and empower the team. As a result the leader needs to adopt a positive outlook on situations as this, and the leader’s demeanour, will be transmitted to the rest of the team. Similarly, the leader’s enthusiasm and positivity will be transmitted to the team. If the leader is defeatist and downbeat this will also be conveyed to the team. Often the leader also needs to act as a coach to ‘up skill’ members of the team so that they can fulfil their role and cope with the demands placed upon them. Sharing knowledge and skills is important to empower individuals within the team, but also creates a closer bond between individuals. The development of rules and boundaries is important. Crucially these should be developed and communicated at the start. This way the team is aware of the punishment associated with relevant behaviours. This prior development of punishment also removes the emotion from the decision making process should team member(s) have broken team rules for behaviour. The captain in a team also plays a very important role in mentoring younger players, and as a result is particularly important in providing information, support and guidance. He or she is an on the pitch leader as well as an off the field representative for the team, occupies a potential role model position, and needs to adhere to a standard of behaviour both on and off the pitch that is reflective of the values of the team and/or the club. The captain also needs to lead by example in game situations in relation to the style of play, environmental factors, and umpiring. They will also act as a source of inspiration and motivation to the rest of the team. As a result, developing each of these areas is important to be effective. It is important to remember that a successful team is built upon a series of successful individual performances. Due to this, an effective captain needs to value the performance and input of all team members during the game/performance. The ability to influence all members of the team in slightly different ways either before, or during, a game is a key characteristic of truly effective captains. Also, as with other forms of leadership, the ability to empower others is crucial to ultimate success. Good captains will look to develop the knowledge, understanding, and confidence of their bowlers, for example, to empower them to take the lead in determining their field settings and tactical decisions when bowling.